It was 2008 and I was a fairly new RD working at a diabetes center in NYC. I had only been a dietitian for a year or so and already felt burnt out, unfulfilled, and unmotivated. I’m not sure if it was the “job” or the “job setting” of traditional 9-5, no flexibility with days off, and feeling like I did the same thing each and every day. Whatever the reason, I knew that this traditional job was not for me. With the support of my friends, family, and mentors, I decided to think about opening up a business. Going back and forth in my head was exhausting! Even that simple decision of saying “yes” to private practice in the future took me awhile because I was so scared!! I tried to research as much as I could to get a sense of what I had to do to open a private practice. I wasted about 2 years held back in fear. Looking back, I WISH I had done things differently. In 2010, I finally said YES! I was ready to open up a practice. Here is where I wasted yet another year trying to figure out forms, handouts, and trying to build a website all on my own. 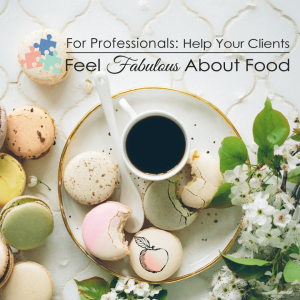 During this year, I didn’t even think about marketing, office space, or how I was going to make connections to get clients. Again, looking back, I WISH I had done things differently. I finally opened my doors in 2011. 3 YEARS after I knew deep down inside that I wanted to go into private practice. 3 YEARS of wasted time and energy! I figured things out along the way but made many mistakes. My #1 mistake was waiting so long to start! Learn about the other mistakes that any make when starting a private practice… download this free guide, on the Top 10 Mistakes Professionals Make in Private Practice.